Just announced today, Stage Ninja (http://www.stageninja.net) has just released a line of guitar straps made from 100% recycled material. No, it’s not paper, folks. 🙂 Actually the specific materials are recycled bicycle tubes, racing tires, and hemp. Because the straps are made of rubber, they stretch a little – up to 1/8″ – which is kind of like having built-in shock absorption. That’s kind of cool, and starting at $49.99, that’s not a price that’ll break the bank. Considering that Stage Ninja is located in Indianapolis, it’s no small surprise that they would take advantage of the used racing tires that must be piled up outside of the Indy speedway. What a way to capitalize on throw-aways! But it’s also responsible manufacturing. On principle I have to get one of these. Why get so excited about a guitar strap? Simply because I dig product that are the result of thinking out of the box. 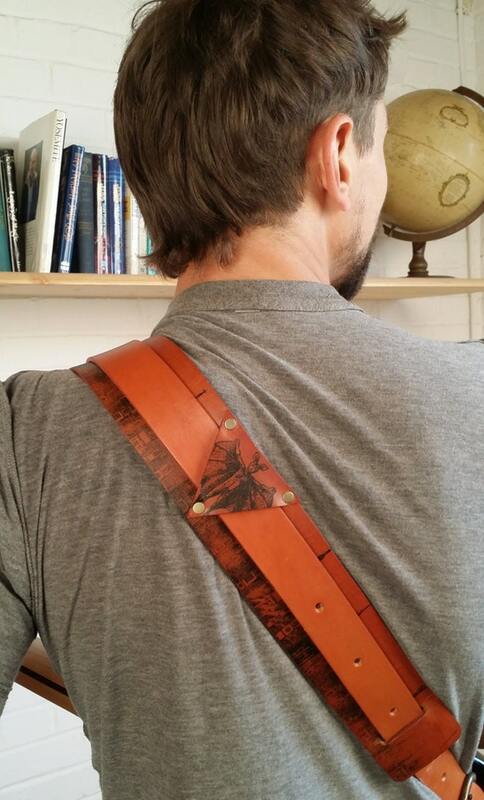 Yes, it’s just a guitar strap, but made out of material that was never even envisioned to be used this way! There’s not much information on these as of yet, and retailers do not have them in stock just yet. But they should be arriving soon! For more information, check out their web site: http://www.stageninja.net.